March 30 is the date of Moving Up Program for my son. By next school year on June he will be in grade 1. 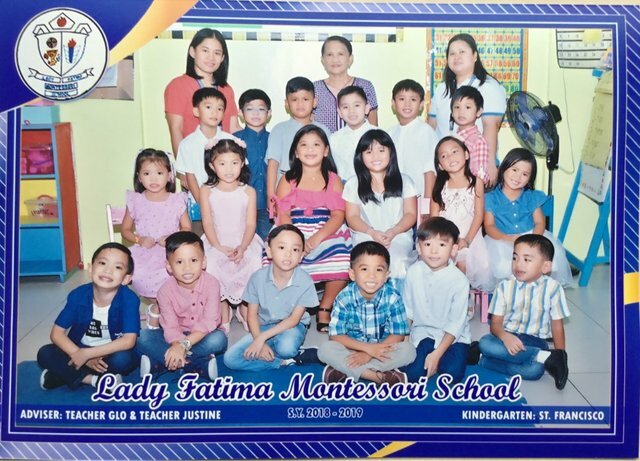 This is his classmates, teachers and teacher-adviser. I congratulate you for having your son in a Montessori school. I have heard very good opinions about this method of teaching. Maybe there they can talk to the children about blockchain ?. I think this because we know that now and tomorrow is and will be blockchain. Yes, they have an advance curriculum compared to the public schools. In terms of promotion of the blockchain, I do it with my senior high school students, though I focus more on the social media aspects since it is the one easily understand, and quite appealing to them. Thank you so much for being an awesome Partiko user! You have received a 14.23% upvote from us for your 2933 Partiko Points! Together, let's change the world!